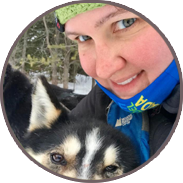 Posted October 3, 2018 by Shelley Bottomley & filed under Blog. What does it take to set-up an, essentially, pop-up classroom? 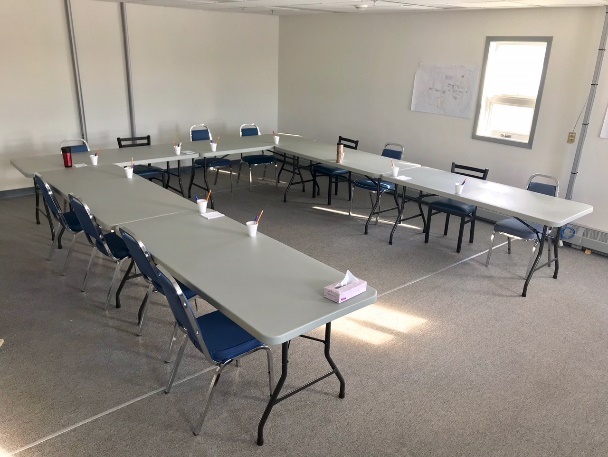 The classroom space for this year’s intake of the Cambridge Bay Pre-Employment Training Program is located inside a local lodge. 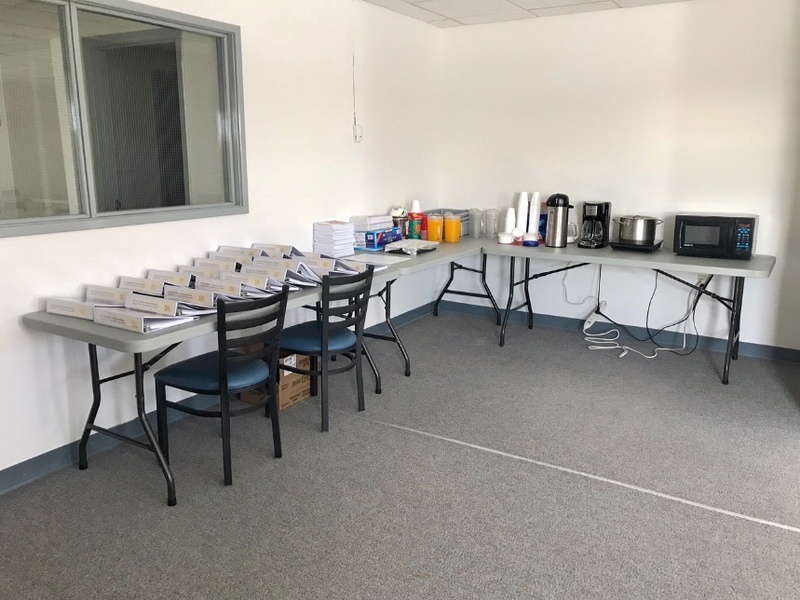 The conference room is spacious enough to include the participant work spaces and a small, make-shift kitchen area. There is also lots of natural light (while the light lasts, of course). 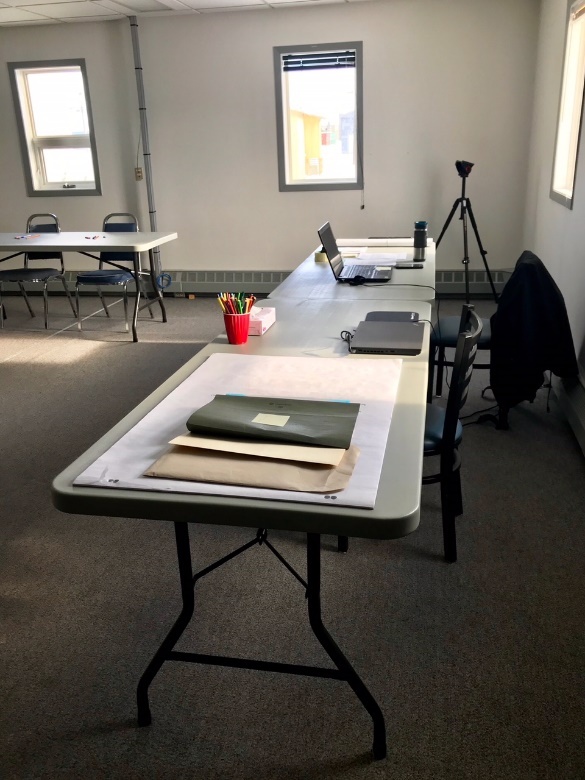 When I initially entered the classroom, my mind filled with ideas for the potential of this space. A project like this takes an incredible amount of effort from those working astutely behind the scenes and a few very busy beavers at the office in Ottawa had been working diligently in the weeks leading up to my departure, packing and shipping 11 well-secured boxes of classroom supplies. As I cut away layers of packing tape, unpacked, organized (and re-organized), and set-up, I began to realize just how much detail was involved in the preparation. Slowly, over the course of my first week, the room began to evolve; supplies found their homes and the classroom layout started taking shape. I believe everything in life is a work in progress so I suspect it will continue to evolve as time goes on. In addition to the more administrative duties, Week One also included applicant intake interviews. A dynamic group of young adults from the community came to meet me to identify their interests, goals, and availability for the program. I also hired a Classroom Assistant who, I was excited to learn, was a graduate of last year’s adult program. Together we will work to select the young adults who will take this three-month course. We hope this course will improve confidence, self-awareness, and motivation so they can move forward in a positive way. It is sure to be a learning experience for everyone involved, perhaps especially for me. Setting up the classroom, we are full of hope, and nerves, looking forward to all that lies ahead.